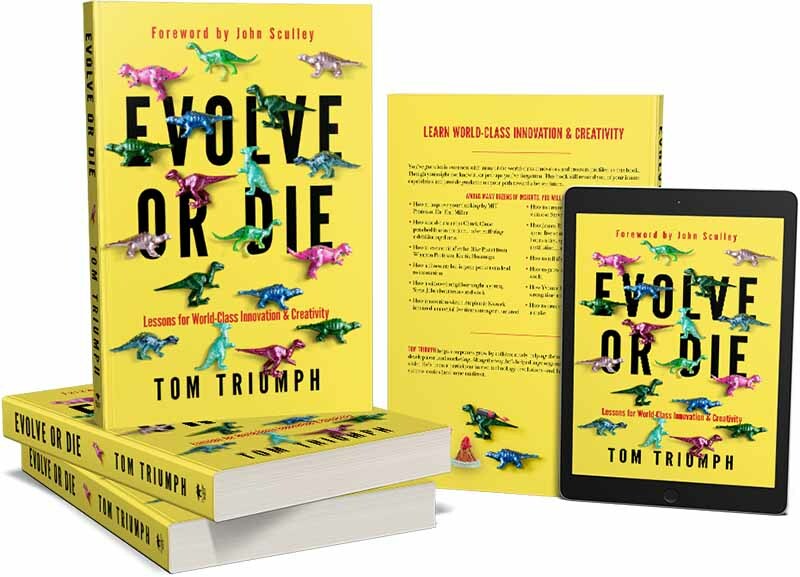 Inject innovation into your company and inspire your employees with speaker, consultant and author, Tom Triumph. 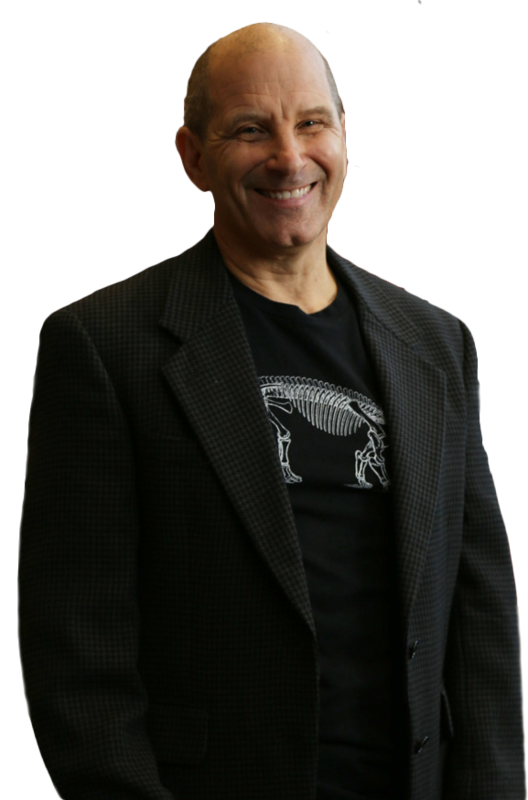 Tom Triumph helps companies to innovate and grow through his speaking and consulting services. He collaboratively works with businesses to reinvent themselves by inspiring staff, assisting with product development, and injecting new life into marketing strategies. 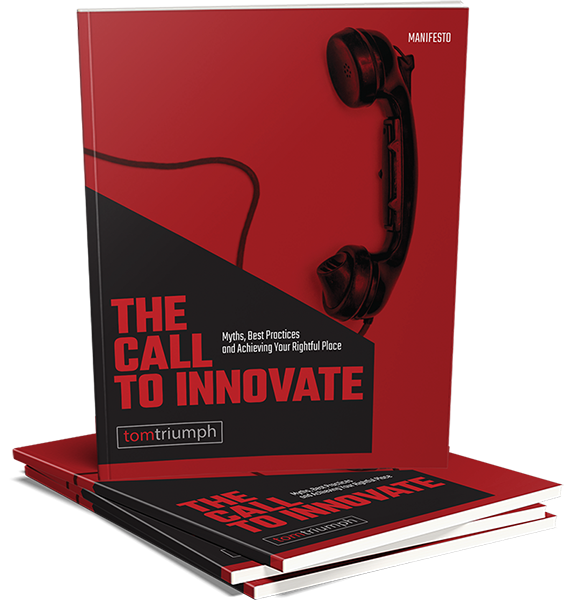 Tom speaks on the topics of innovation and reinvention and builds dialogues specific to businesses and audiences that are engaging, inspirational and educational. Tom provides companies with objective strategies and tactics to drive innovation, develop improved products and fast-track business growth. 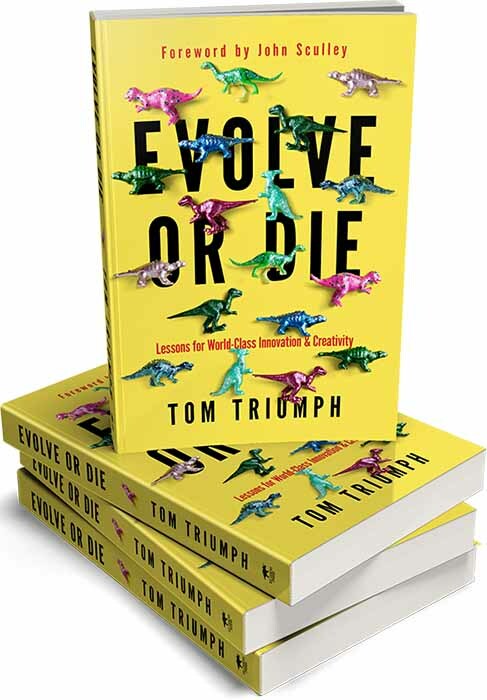 Tom Triumph's "Evolve or Die: Lessons for World-Class Innovation & Creativity"
Want Tom to show you how to better create and innovate?